A simple but elegant Creative WordPress theme that is very suitable for a small creative agency and personal portfolio site! 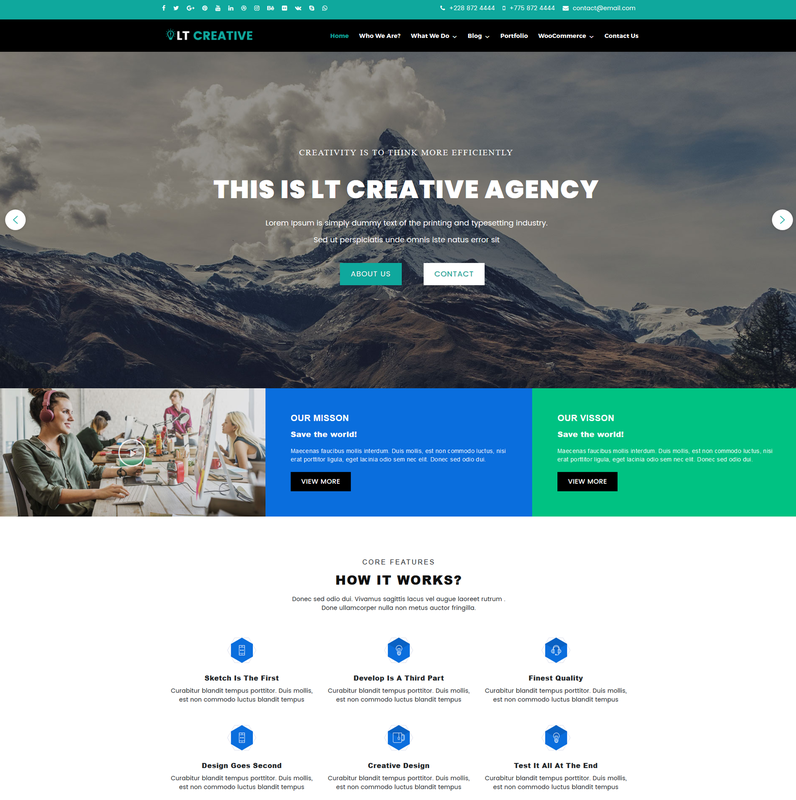 LT Creative is Free Responsive WordPress theme that intended to photo design websites and creative agencies. This theme has an elegant and simple design but still profesional to build a small creative agency and personal portfolio site. 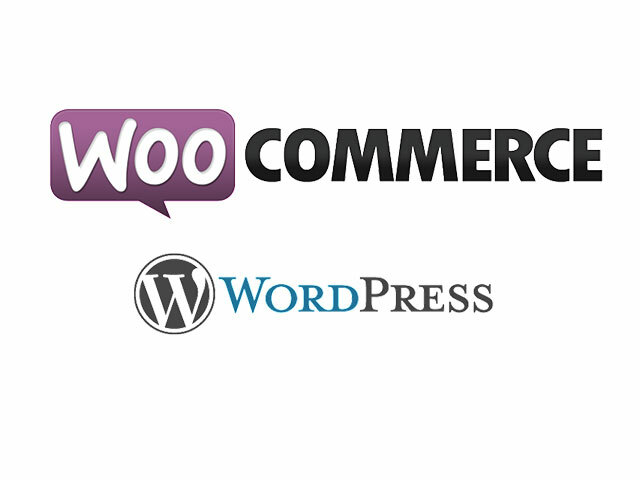 It helps you develop your website’s look and feel, then promote and establish a brand for your business. Creative WordPress theme supports fully responsive layouts to ensure your website looks great on any screen size, plus it comes with lots of really useful built-in features such as shortcodes, drag-drop layout content, Bootstrap CSS & Elementor Page Builder to help you easily customize the design and give your website that unique look. 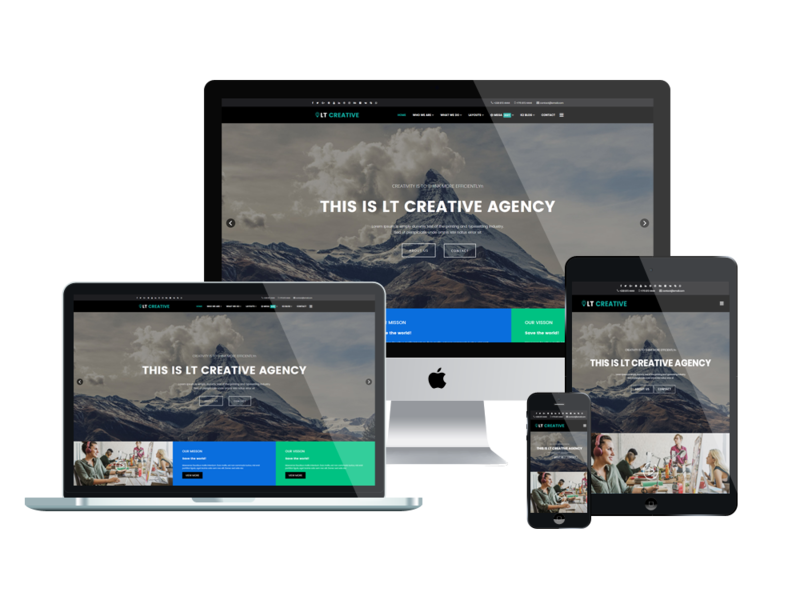 Notably, it is not difficult for you to build an amazing look for your site with various layouts because LT Creative supports you unlimited color and a color picker in the admin panel. Go and give the Live Demo a look!